During the Medieval Age, knights reigned supreme as some of the best warriors on the field. To counter these heavily armored warriors, polearms, like this European Bec de Corbin, were used to smash through armor and negate the knights mounted advantage. 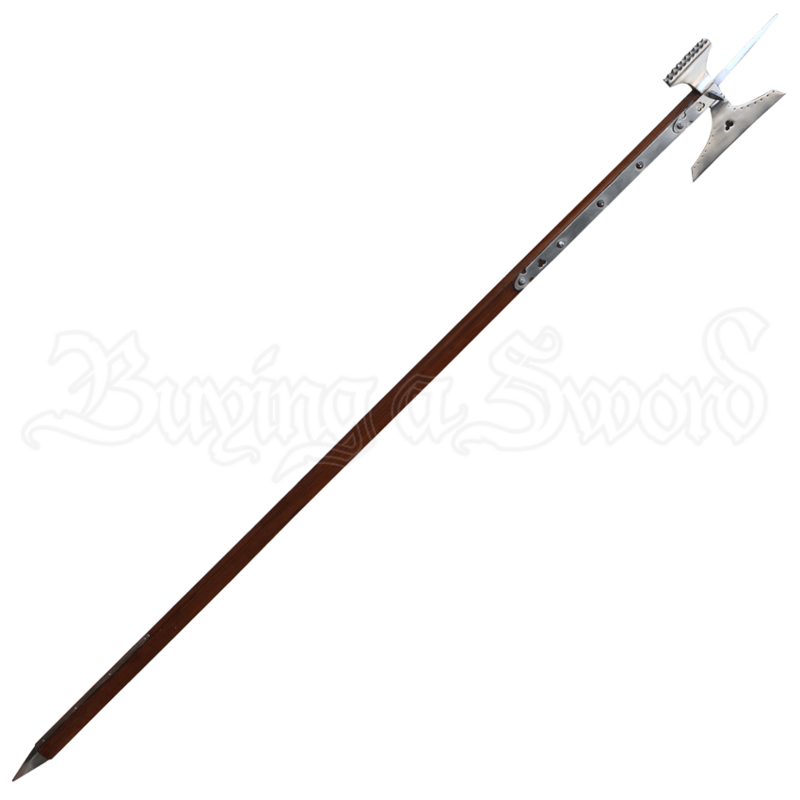 Designed as a hardy and effective war hammer, this impressive weapon features a long haft and a mounted combination axe-hammer-spear head, which offers three unique points of attach in one effective weapon. The head is crafted entirely in carbon steel, and is attached to a long hardwood haft with rivets and langets. Not only does this ensure a good point of connection, but the langets also reinforce the shaft, offering more resilience and defense in the weapon, too! As a counter for the mounted, heavily armored knight, there is little competition against this European Bec de Corbin. 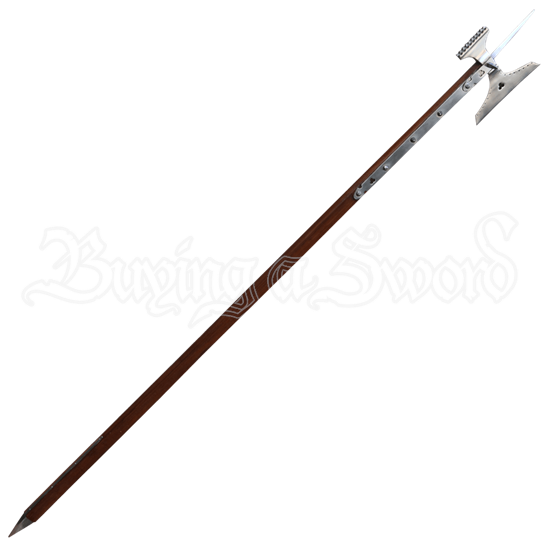 The crushing force of the hammer, the cleaving power of the axe, and piecing potential of the spear make this weapon a natural knight-slayer to own and love. The term Bec de Corbin is a phrase in old French, meaning crows beak. At its inception, the weapon was a large, curved spike, counter-balanced by a flat hammer head, and capped with a short spike - making it quite similar to the Lucerne Hammer, barring certain little differences. As time went on, though, the style of the weapon gradually became more diverse, and eventually, the term Bed de Corbin became a catchall for any type of pole-arm styled war hammer.